Every year, over two million people in the United States have some kind of serious cardiac event that requires extensive medical attention. Myocardial infarction, heart failure, and cardiac surgeries such as coronary artery bypass or valve replacement are some examples. Many of these patients are over the age of 65, and with the aged population growing, the number of elderly patients in need of cardiac rehabilitation will also increase. For these patients, recovery is often long and difficult, because of comorbidities, general age-related frailty, and their need to restrict physical activity during acute recovery. Skilled nursing facilities are an often overlooked resource for patients who need postacute care and cardiac rehabilitation. Why are skilled nursing facilities so often overlooked as a resource for cardiac rehabilitation? One reason may be that skilled nursing facilities, unfortunately, are still seen as "the last stop," or the destination for end-of-life care. This perception is, can be changed. Patients can be taught to see skilled nursing facilities as the post-acute care resources they are -- as valid resources for rehabilitation and recovery that are much more cost-effective than hospitals. 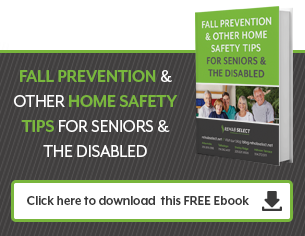 Hospitals are designed to provide acute care, but skilled nursing facilities can step in after the immediate danger has passed and provide the resources necessary for the patient to recover. Patients who come to skilled nursing facilities for cardiac rehabilitation after hospitalization are too sick to go home, but not sick enough to need the kinds of acute care hospitals provide. Nonetheless, these still-sick patients receive the kind of close supervision needed as they continue to recover. In addition to the cardiac difficulties patients come to SNFs with, they are also often weak and at risk of falling or other injuries if left unsupervised. Skilled nursing care fills this need for continued medical supervision in an environment that focuses on rehabilitation. 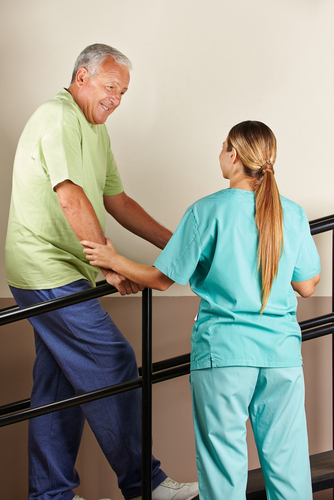 Physical and occupational therapy programs are customized for each patient. Therapy begins at the patient's current levels of ability and are advanced as the person improve. In addition to physical and occupational therapies, which are designed to help patients become physically stronger and re-master the skills of daily living, patients may also receive cognitive therapy if needed to help recover those abilities as well. Although skilled nursing facilities provide continual supervision so that patients remain safe during recovery, the focus is on regaining independence so that patients can return to their lives as fully as possible after recovery. Cardiac rehabilitation doesn't just happen thanks to medical intervention from professionals. True rehabilitation means that the patient and his or her family must fully participate in recovery, as well. Because of that, the patient and his or her family are made full members of the recovery team – without their participation, recovery simply cannot be fully realized. With patient and family participation, however, recovery happens completely. Patients can go home and know that they and their loved ones have the skill to continue with rehabilitation on an outpatient basis as necessary, and can handle any residual effects from the cardiac disease and/or comorbid conditions like diabetes, as well. As the population ages, heart disease will likely become a pressing medical problem, one that requires ongoing attention and intervention. Hospitals are best positioned to provide acute care during crisis, but are not the best option for cardiac rehabilitation. Skilled nursing facilities provide the medical supervision and attention patients need during recovery at a much reduced cost – and can provide the necessary cardiac rehabilitation services required, as well.